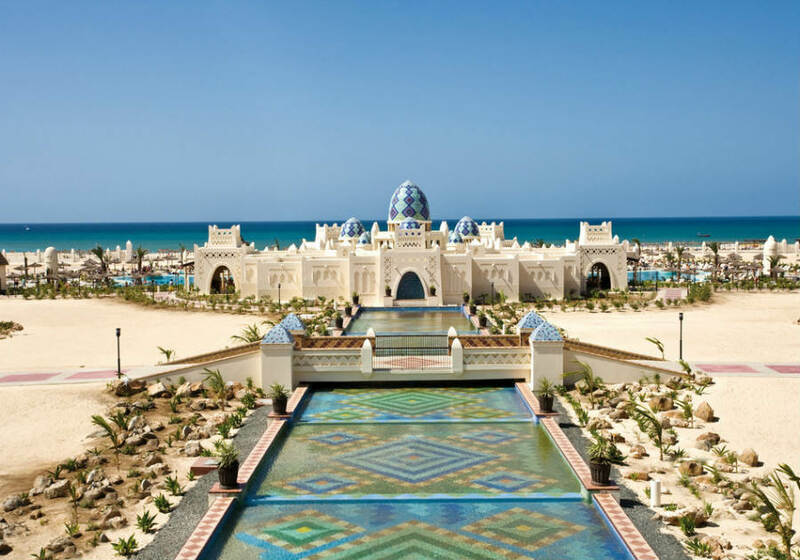 ClubHotel Riu Karamboa is a palace of fine dining and stylish bars surrounded by white sand and crystal waters. 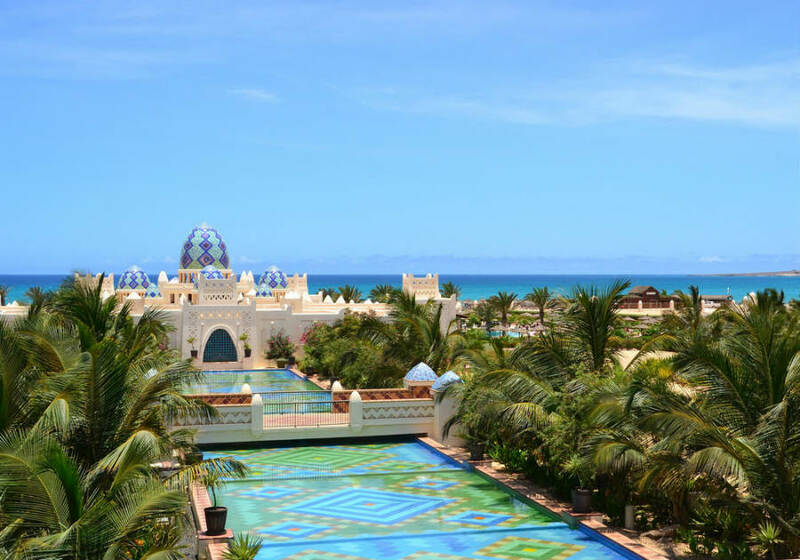 Found in eastern Cape Verde, this top hotel is perfect for spending quality time filled with fun activities and live entertainment, regardless of age or taste. Its huge swimming pool sits in the middle of a sun-soaked terrace, beside a refreshing bar, and plenty of sun loungers for day-long relaxation. Kids here are spoilt for choice, thanks to a dedicated club, children's pool and playground area. And you can relax in the whirlpool, indulge at the hotel spa, or grab a drink at the swim-up bar. The selection of fine foods almost guarantees you never have the same meal twice at this hotel. The buffet-style restaurant provides all your main meals with an assortment of courses and cuisines, while the other themed eateries serve authentic dishes including Asian and African. Entertainment is dazzling at ClubHotel Riu Karamboa. Daytimes are filled with sports, activities, and water games, while the nights are a hub of music, shows, and dancing. Each bar offers a different atmosphere; from sports and karaoke venues to a plaza lounge and nightclub. Ideal for peaceful relaxation one night and lively bustle the next. Following an evening of your making, head back to your luxury room for a nightcap on the balcony. Each accommodation is spacious with modern furnishings and plenty of amenities for a stress-free stay. With the beach on your doorstep, countless on-site restaurants, and luxury surroundings throughout, this island resort is certain to create an incredible holiday. This hotel has a huge array of facilities to keep all its guests happy and entertained throughout their stay. There's a large buffet restaurant, Santiago, serving your three main meals every day, as well as three speciality eateries. These include Barlovento, featuring Cape Verdean dishes; Buda, providing Asian meals; and Las Dunas, an African restaurant by the pool. 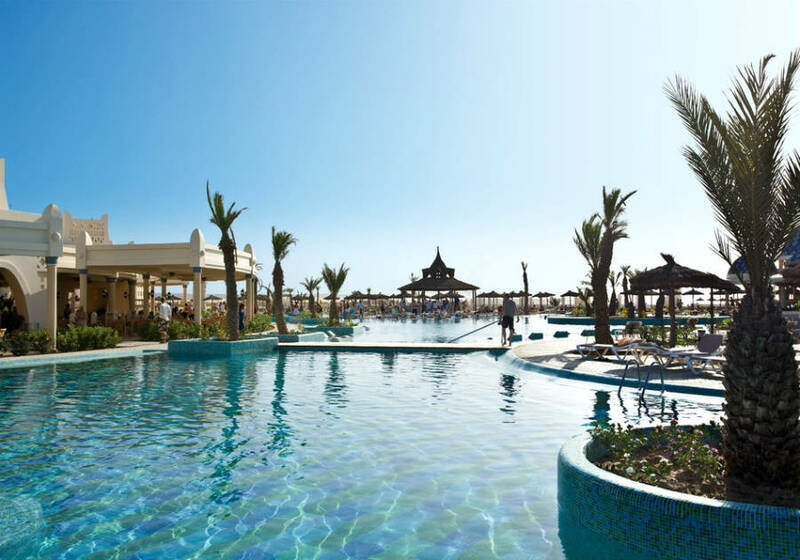 ClubHotel Riu Karamboa has a 24-hour lobby bar named Morabeza, a lounge bar called Lambada, and a plaza bar known as Brava. There's also Praia, the poolside venue with a swim-up bar, Mogambo, a fun karaoke and sports bar, and Pacha a nightclub for guests aged over 18. The spacious outdoor swimming pool features an adjoining whirlpool and is surrounded by towels, parasols, a sun terrace, and sun loungers. Children can safely enjoy the playground, the RiuLand kids club, and a children's pool, while you use the gym or sauna. The hotel also has its own Renova Spa, which offers a variety of relaxing massages, beauty treatments, and a salon for an additional charge. Sports and activities here include: tennis, aerobics, aqua gym, kayak sailing, beach volleyball, pedalo rides, shuffleboard, airgun shooting, art workshops, and an introductory scuba-diving lesson. You can take kite and wind surfing lessons for an extra fee. There's also an art workshop, gift shop, Internet room, and complimentary Wi-Fi in the lobby. 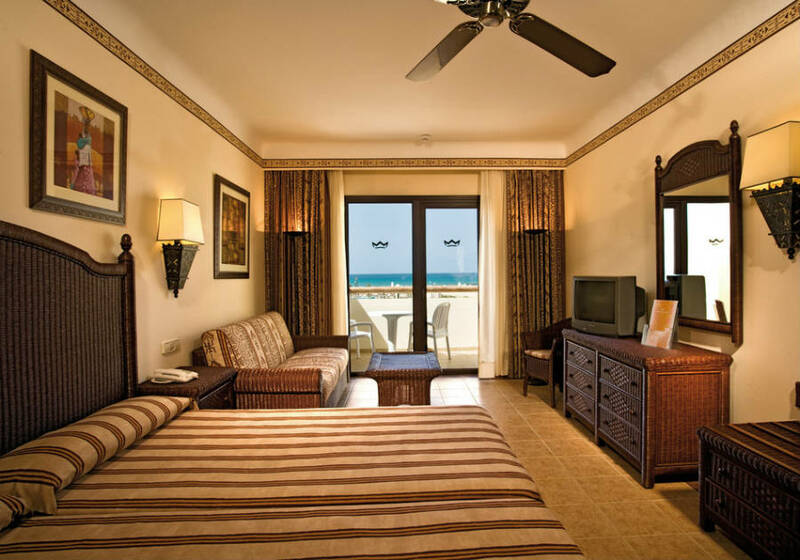 ClubHotel Riu Karamboa has 750 guest rooms and suites, including double, triple and family rooms. Each air-conditioned accommodation features a telephone, mini-fridge, ceiling fan, hair dryer, satellite TV, and electronic safe. 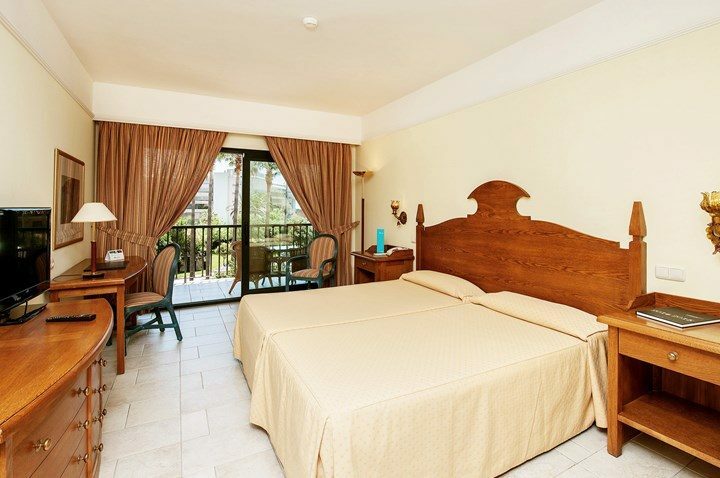 Triple rooms offer a sofa bed, while family rooms also provide a separate living room. There are two types of suites at the hotel. One features a bidet, bathtub, living room and sofa; the other has a hydromassage bathtub, shower cabin, adjoining living room, and sofa. In every room, you have your own balcony or terrace to enjoy. This hotel provides 24-hour, all-inclusive catering at main restaurant Santiago that's sure to suit any guest. A huge buffet breakfast is served each morning featuring a range of snacks, hot foods, live cooking stations, and continental breakfast products. Lunch includes the same high level of buffet-style dishes and live cooking shows, along with: cakes, assorted desserts, coffees, and light meals at the poolside restaurant. Watch your food prepared in front of you as you enjoy your buffet dinner, and make sure to keep an eye out for the wonderful themed-nights that happen twice a week. The hotel also offers three speciality restaurants to reserve and enjoy. 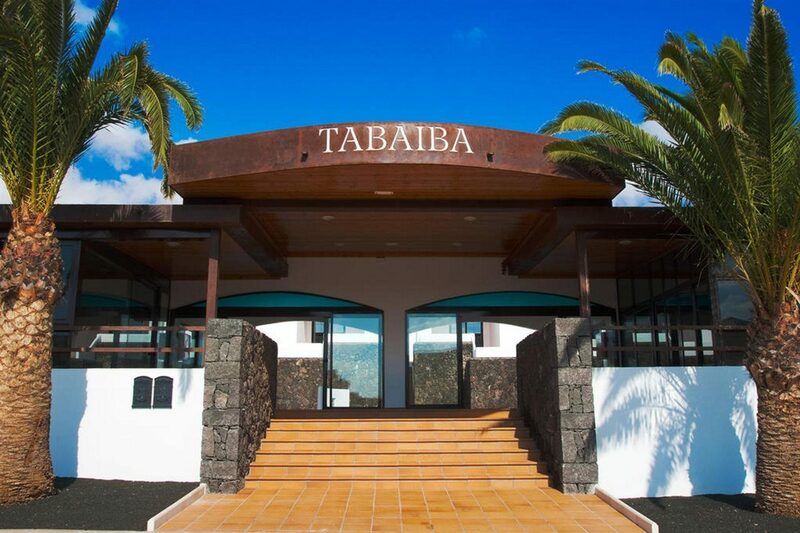 Barlovento specialises in authentic Cape Verdean cuisines, while Buda is the hotel's Asian restaurant, and Las Dunas serves tasty African dishes beside the swimming pool. With snacks, domestic drinks and imported brands available all day long, you'll be spoilt for choice at this hotel. Throughout the day and night, enjoy a variety of bars and lounges. Morabeza is found in the lobby and is open 24 hours with all-inclusive drinks. 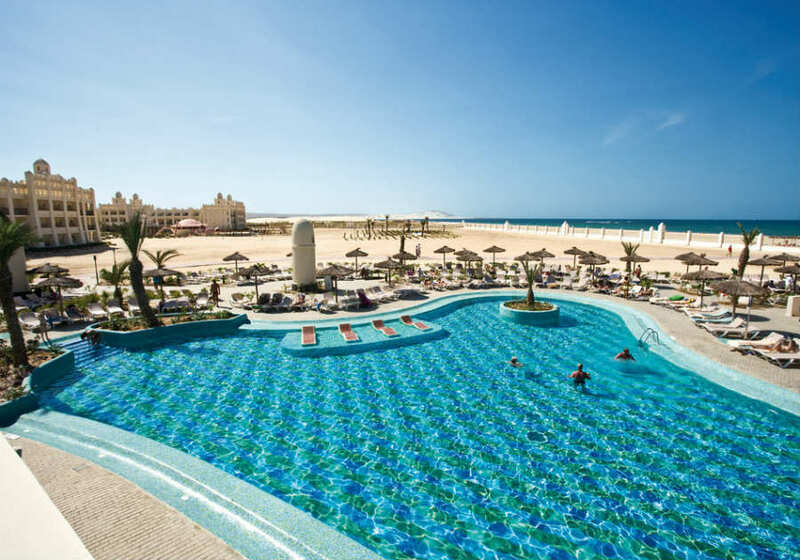 If it's icy-cold drinks in the sunshine you're after, head to Praia - perfect for chilled refreshments by the pool with a handy swim-up bar. Lambada is the hotel's relaxing lounge venue, and Brava is the chic on-site plaza bar. Give Mogambo a try for some karaoke fun and a sports bar atmosphere. There are daytime entertainment programmes for kids aged 4-7 and 8-12 at "Riuland", as well as daily entertainment for adults. Evening entertainment includes live music and family-friendly shows. Or Pacha discotheque offers drinks, music and dancing for those aged over 18.